While you may feel strongly that a ghost is in your home or place of business you should first evaluate each incident and look for logical solutions. Many times there may be a legitimate reason for one or more events and the misinterpretation of one event can produce the belief that all of the events were related and thus caused by ghosts. You might be shaking your head or saying to yourself, "not in my situation", but I can assure you that in many cases while the homeowner was convinced 100% that a ghost was involved there were logical reasons found that sparked the chain of events. This isn't to say that all ghost events are simple logical solutions, but if all paranormal events were to be put in a two piles; logical explanations and paranormal explanations, the logical pile would be a mountain compared to the paranormal pile which would be closer to a pile of table salt. While this may sound dramatic (and the example is probably not accurate to scale) it is important to understand how fear plays tricks on the human mind and can force us to interpret things as being beyond our control. The most important part of thinking along the lines of finding logical solutions is to create a mindset of problem solving which will help you eliminate fear. This elimination of fear is the first step in getting any potential paranormal problems to cease. Could the noises be animals? Chipmunks, squirrels, cockroaches, ants, and many other animals have been the cause of noises. If the noises seem random and areas can be identified conduct an honest search for possible infestation of any animal. Attics and basements are typically hiding spots for larger animals such as squirrels and raccoons. What's that noise? While creaks and groans of houses may seem spooking they are actually quite natural. Air pressure through small openings of siding, windows, and other features may cause noises from wind as well. Pareidolia may also be the cause. In one case I investigated a dirty ventilation fan in the bathroom was the cause of "evil voices" being heard by children that seemed to come from the hallway. Light and shadows can also fool us. Many ghost sightings of "shadow ghosts" turn out to merely be shadows created by means that we are not used to seeing. A large bird passing close by a window, a car backing into a driveway, and other lights and shadows we are not used to may make us feel as though a ghost has invaded our home. 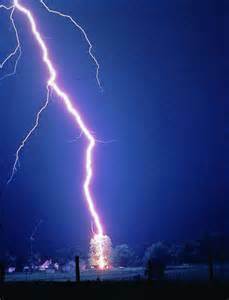 Again, once we begin to believe this then we will begin to attribute other noises and coincidences to this phenomena. By separating each incident and looking for a specific cause (or reason to believe it was merely a coincidence) you may start to see the list of potential paranormal events dwindle. Another environmental issue to consider is EFM exposure, or the condition known as electrohypersensitivity (EHS). The reality of EHS is debated by various tests and studies, while some have verified this as a real problem others have found no connection with EMF exposure and the hypersensitivity found in many people. In my experience we have altered bad wiring or grounding in situations where people displayed similar symptoms (unusual headaches, unusual aches and pains, trouble sleeping, problems with concentration, feeling of being watched, etc.). When the situation was resolved the client noticed the symptoms went away and typically their ghost situation did as well. Whether this is a real issue or not, it is worth the try to test for bad wiring or high EMF in areas of rest or where people are present a lot. Sit farther from the TV or computer monitor, keep alarm clocks, fish tanks, cell phone chargers, and other electronic equipment away from your bedside. An electrician will be able to sweep the home for faulty wiring or grounding issues. Environmental issues are also important to evaluate. One highly overlooked area that occurs in many homes and businesses is carbon monoxide poisoning. Carbon monoxide can create hallucinations, dizzyness, confusion, and many other symptoms that could be misinterpreted as ghosts. Carbon monoxide poisoning can be deadly and caused 2,244 unintentional deaths between 2000 and 2010 according to the CDC with most of these occurring during the winter months. It is also estimated that between 20,000 and 30,000 people are sickened from carbon monoxide as well on average per year. A great ghost group should test for carbon monoxide prior to looking for ghosts. In late March of 2015, Clarkson University released information about a study involving a correlation between reported hauntings and indoor air quality. The goal with their study is to determine whether reports of haunting activity could be related to specific pollutants including mold in areas. These reports may be based on a toxic environment which may create psychological effects similar to reported haunting phenomena. Research into various aspects which can explain certain haunting activity is always ongoing and may explain a handful of cases at a time. Once you have exhausted all means of evaluating each incident separately for logical solutions we can begin to build a profile for your case. The first thing to do is to write down each event that happened (not including those you feel a logical explanation has been reached) and create a calendar that shows when each event happened. Creating a calendar will give you a visual representation of what you are experiencing. From this you can begin to draw some basic conclusions. Specific patterns may indicate that the events may be paranormal. A noticeable increase in frequency or intensity might just be a sign that you may need help. An increase in frequency means the events have begun to happen with less time in-between. An increase in intensity means the events have become stronger or more personal. For instance, a person may see a shadow from the corner of their eye. If they see this shadow once a week for a month then suddenly every day for a week - this is a sign of an increase in frequency. If the person sees the shadow from the corner of their eye once a week for a month and then the shadow stands in front of them on a weekly basis this is a change in intensity (albeit a small one). Intensity may also include new events that are more and more obvious that there is something creating the sounds that defies logical solutions. A small tap that can barely be heard to loud bangs on walls is an uptick in intensity. Noises to visual sightings of apparitions may also be construed as an increase in intensity. Do the events seem to be focused on a specific person or object?. If the events seem to only happen around a specific individual it could be stressed induced. If the events seem to happen around objects that are special or specific to a person this could be the same cause. In other cases an apparition may "target" a specific person by involving objects related to that person. This person usually has the power to control whatever is happening; whether it be a poltergeist situation (again, caused by a stressed person - not a ghost!) causing psychokinetic activity, or a communication with an apparition, or even a person who is able to trigger haunting phenomena. Those who seem to be at the root of things are typically able to change the pattern of events through confidence and becoming empowered about the situation. It is important to note that fear, anxiety, and especially anticipation of these events can also cause an increase in frequency or intensity. The increase in frequency and intensity may be due to your perception of events (jumping to conclusions). While it is difficult, if not impossible in most cases, you should try your best to view these events as objectively as possible by thinking of these events in relation to that of a bystander. You might has seen a shadow, but if you were standing somewhere else would you be able to find a solution? Could it be possible that while the events are increasing am I letting my fear or anticipation get the best of me? There are times where the person that seems to be the focus of the events may have a "psychic" connection of sorts. Many people claim to have psychic ability that runs in their family or have experienced things deemed psychic in their lifetime; seen a ghost, had premonitions, etc. There are some people that are seemingly "human lighting rods" for psychic phenomena or just attracting ghosts in general. People who have had a history of ghost experiences may need to learn how to control their "connection". This is done through the same means of empowerment and belief in the self having "power" over what is happening. Never assume that you are psychic or have this type of connection since you may have had experiences in the past. Many times after an experience we become "aware" of similar experiences or begin to build up an anticipation of similar situations. Having a psychic connection may serve as an explanation for things, but dealing with this explanation means this person will need to produce changes in their life in order to make things stop. Meditation, books on building inner strength and confidence, as well as lifestyle changes may be necessary for this person to become more "shielded" to these types of experiences. While there are dozens of books on controlling psychic ability the fact remains that not everyone is honest and not everyone truly has psychic ability despite their claims. Even if every book is genuinely honest each person has their own unique connection to the environment and not every method or technique will work for each person (the same goes with simple things such as meditation). One important piece of evaluating a potential paranormal situation is to evaluate those involved in the events. The question most asked by those involved in ghost situations is, "Am I crazy?". While not all people who see ghosts are crazy, there are a number of things that happen to people that may alter their reality and cause them to interpret ghosts; besides fear. Epilepsy is known to cause hallucinations of ghosts including seeing people who seem real, but who are not actually present. Many types of medication may produce side effects of seeing or hearing strange things. Many mental disorders may also create similar phenomenon (see a list at left). While it's best to not think of yourself as "crazy" there may come a time when you should evaluate yourself (or allow yourself to be seen by a professional) if there is a possibility this is caused by stress or a mental disorder. There is no shame in going this route although most people will deny there may be something "wrong" with them. Once a sound evaluation of logical and personal potential explanations has been conducted, and you still feel something paranormal is going on, proceed to Step 3. 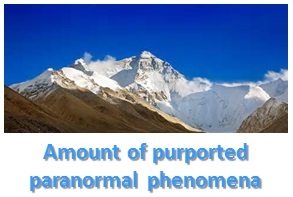 The sheer amount of phenomena reportedly to be paranormal (beyond scientific explanation and no logical explanation) can be displayed as a large mountain. The reality of "paranormal phenomenon" is that only a very small segment of reported cases, collected "evidence" in the form of photographs, EVP, and personal experiences actually defies rational explanation. Even then, those events may indeed have a rational explanation other than paranormal. The mere validation of the existence of ghosts would require many aspects of what we know about physics and science to be changed or altered dramatically. Despite much of the science and study there is still no evidence that ghosts are real in any aspect. This is why there must be no room for assuming a ghost is present without evaluating the situation carefully using problem solving, deductive reasoning, common sense, a lot of patience, and the understanding that you have to be honest with yourself in many instances. Some people seem to attract psychic phenomenon (many times merely ghosts) more than others. No one knows why or how, but one still needs to consider looking at logical solutions first before jumping to a paranormal one. How can we properly know what is beyond normal when we have yet to identify all that is normal?